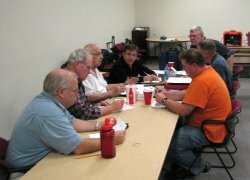 Dixie Amateur Radio Club, Inc. has an elected Board of Directors. According to the Club Constitution, the Board of Directors shall be the governing body of DARC and as such shall formulate and be responsible for all matters of policy. Decisions of the Board of Directors shall be by majority vote of a quorum of the Board present at any meeting where such votes may be taken, unless a greater majority is specifically required by the Club Constitution. Directly below the pictures of this great looking bunch of dedicated people is information on the Board meeting the hold each month, as well as minutes from those Board meetings. Board meetings are held on the 1st Thursday of each month and the meetings are usually held at the Washington County Library Branch in Washington City. The address is 220 N. 300 E. just to the west of the Washington City Recreation Center. The next meeting should be held on: COMING SOON. Anyone is welcome to come and attend the Board meetings. Please come prepared to share any ideas that you have for monthly club meetings, special events, activities, etc. that help keep the Club running. 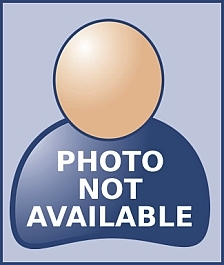 If, on a rare occasion, the Board meeting must be scheduled on another date or location, a specific notice of that meeting will be posted on the DARC, Inc. home page ("Announcements" section) at least 24 hours (or more) prior to that Board meeting. Because the Club is a non-profit, IRS 501(c)3 charitable organization all of our Club's Board meetings are open to the public. Everyone is invited and encouraged to attend and observe the Board in action. Minutes from previous Board meetings are available below. THE WEBMASTER WILL FIND OUT IF THE BOARD MET AFTER JULY AND IF SO WILL OBTAIN THE MINUTES FOR THOSE MEETINGS AS WELL.